The new 2019 BMW 7 Series Facelift seems to have been leaked on Instagram. As found in the Russian poster, the front end of the Life Cycle Impulse 7 Series will be lunched in the next few weeks. Considering the fact that BMW was holding VIP closed-room previews of the 7 Series, the news of leak seems to be accurate. According to the experts in BMW Greensboro NC, the 7 Series seems to borrow a lot of cues from the X7. The front-end comes up with a slimmer headlights that combine with the kidney grille which now appears large in size, with massive chrome around it. The lower part of the front-fascia has also been configured, with both a more dynamic and grand look, accentuated by the copious chrome inserts. The Air Breather is now positioned vertically behind the front wheel and is no longer sitting at an oblique angle. In the back, it also receives a new design with taillights resembling those of the new 3 Series, just with an LED light bar that extends the length of the rear end. The idea behind this upgradation is to take on the new Audi A8, which also boasts a tail-wide LED light bar. It’s expected to look better than before. The cabin is likely to receive some decent updates, including BMW’s new digital instrument panel, and its newest iDrive system, borrowed from the new BMW X5 and 8 Series. So, it is offered with a bit more tech, but there’s not much difference between design and level of luxury. Though the experts can’t say much about the comfort, performance or driving dynamics, they don’t event expect much to change, mechanically. The refurbished 7 Series will likely command attention in the competitive market. 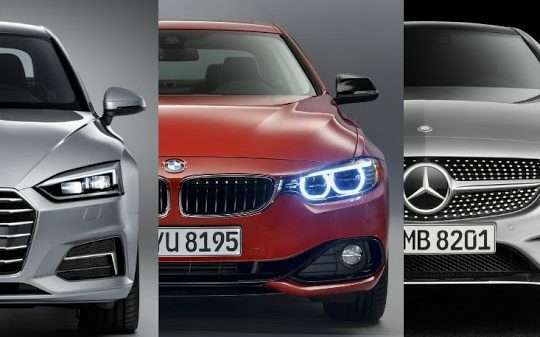 You can also find some interesting new cars in this segment, such as the new A8 and Lexus LS500, so these new updates to the 7 Series are going to need to be good. Overall, the car is impressive. To keep it in good condition, take it to the nearby BMW repair Greensboro center.